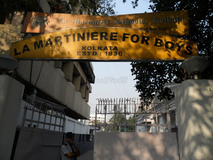 Find below the list of top schools in Alipore - Kolkata with phone number, address, 360° School tours, 2018-19 Admission forms & Fees, photos, facilities & more. Lakshmipat Singhania Academy is located in Alipore, Kolkata. It was established in 1996. This school follows the CBSE board. The school has English medium. 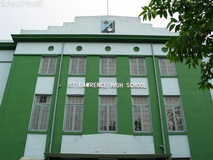 Loyola High School Upper Primary is located in Khidirpur, Kolkata. It was established in 1961. This school follows the ICSE board. The school has English medium. 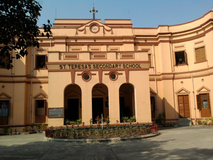 St Thomas' School is a kindergarten to higher secondary school for boys located in Kidderpore, India. It has one of the largest campus areas in the city of Kolkata comprising of three football size fields, two basketball courts and children's playgrounds. 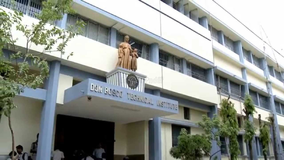 The campus also houses the St. Thomas' College of Engineering and Technology and has a church called the St. Stephen's Church. 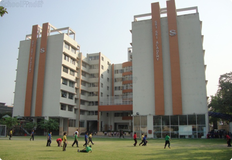 The school has adjacent division St. Thomas' Boys' School (STBS). The students of this school are nicknamed as Thomasites (boys). St Judes English Day School is located in Khidirpur, Kolkata. It was established in 1963. This school follows the CBSE board. The school has English medium. 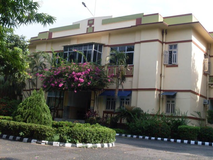 St. Paul's Boarding & Day School, founded in Kolkata in the year 1912 is conducted by the Religious Congregation of the Daughters of the Cross. School promotes the total growth of the child physically, spiritually, intellectually, culturally and socially so as to help her grow into an integrated Person. You and your child deserve to be looking only at the top schools in Alipore - Kolkata. We at Sqoolz, have created an all-encompassing list of best schools in Alipore - Kolkata so that you can pick the one that is most suitable for your needs. Is the location viable? Is the school big enough? What additional facilities do they provide? Find answers to all the important questions with us. You can even take our virtual tour and see for yourself whether or not the school fits your child's needs.